On this episode Brandon is joined by Jamie Rainey. Jamie gives his testimony of how God delivered him and his family from a life consumed with drugs and addiction to a new life as a born again Christian. Jamie also talks about some of the miraculous things that God has done in his life. It's a great episode about redemption and how Jesus can completely remake us into completely different people. 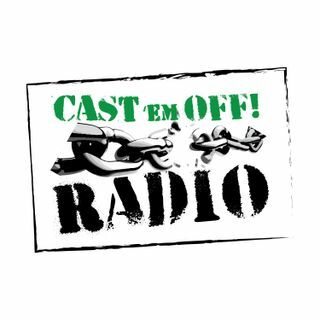 Don't forget to check out Cast 'em Off Radio on iTunes, Stitcher, Spreaker, and ... See More Tunein. Your ratings and reviews are always appreciated. Check us out online at www.castemoffradio.com. You can email Brandon at castemoffradio@gmail.com.